Fifteen years ago, this month, I quit my job and set off for Paris. On March 19, in fact. It was everything I dreamed it would be. And more. A lot led up to that trip. Like many who work in the health care field, I was Burnt. Out. I was angsting my way through a quarter(ish)-life crisis. I hated the idea of turning thirty and being in a situation that felt closer to hamster-on-a-wheel than to the bright future of a rewarding career and the balanced life that I’d envisioned in grad school. In high school, I signed up for French as my second language but my mom refused to sign my electives form until I changed it. “You live in southern Arizona. You’ll never have any occasion in your life to use French. You need to learn Spanish.” So I did. And then I married a Frenchman. I like to remind her of this. I’d long been fascinated with the French language and with France. Before I went to graduate school, I’d taken a month to backpack through Europe. France had been one of the best parts of my trip. Later, while living in San Diego, I met a bunch of French exchange students who I bonded with, and so I picked up a language CD and started trying to impress them. My French, then, was decidedly not impressive. Mostly, I ached for adventure. Other than my month in Europe, I’d been living a nose-to-the-grindstone sort of life. My employer at the time considered a three-day weekend (where I clumped my work into four 10-hour days to get Friday off) a vacation that he had benevolently granted me, despite the hardship it entailed on his business. This was better than my first job where I was told a few weeks in that while they couldn’t authorize any vacation time as they were much too busy of a clinic, they would gladly consider allowing me to take an hour or two of my vacation time, as I earned it, if I needed to see a doctor or dentist. It didn’t take long for me to realize something needed to change. I’d worked since my senior year of high school – all my summers and spring breaks were filled with jobs, and by the time I was a junior in college, I was working 20, sometimes as many as 30 hours a week while taking a full load of classes. Spring Break partying on the beach had never been on my calendar. The French exchange students I met were having the time of their lives – traveling, learning a new language, experiencing a new culture, meeting friends from all over the world. Some were in college, some were older and learning English to help with their careers. I did some research and saw that I, too, could do something similar, in France. In Paris. To get there, I threw myself into work: I spent more than a year working two jobs (plunging myself into even higher levels of burn out, exacerbating the very problem I was trying to escape), diligently saving, eating cheap, wearing worn-out clothes, and doing whatever I could to maximize my savings. I was determined to be doing something amazing for my upcoming thirtieth birthday. The whole idea defied the puritan nature I’d been raised to have: work hard, and play, maybe, if you have time. When I told my parents my plan, they were… unimpressed. My Dad’s first comment: “I don’t understand why you’re doing this. How is this going to help your career?” I answered, “It won’t. That’s not what this is about.” They were concerned, I get that. After all, I’d gone to grad school and had a good job that payed well and offered a promising career. I’d arrived. Right? My parents worried I was throwing that all away. As a physical therapist, I knew I wouldn’t struggle to find a job when I returned (I didn’t). I knew I’d be okay. I also knew that I wouldn’t be okay if I continued on as I was. I was exhausted. I needed more than the day to day grind. I needed an adventure. I needed to find some joie de vivre. To complicate things, the dollar sank rapidly in value against the Euro during the first year after France adopted it, so my plan for a six month trip had to be pared down. I also had a new boyfriend – a French guy who by our third date I was pretty sure I was going to marry (he’s now my husband). Still, giving up this chance of a lifetime, this dream, wasn’t a consideration for me. I quit my job. I sold most of my furniture and moved the rest of my stuff into storage (i.e. my sweet new boyfriend’s apartment). I left my car in the care of my parents. I consolidated my student loan bills and left a series of checks and payment stubs with my boyfriend who had kindly agreed to mail the checks I’d pre-written to pay all my bills while I was away. This was before online payments, Facebook, smartphones, and all sorts of other technology that makes this sort of stuff a breeze now. I didn’t even have a digital camera – I was still using film. And a dial-up modem. And a flip phone that had no chance of working in Europe. Then; I did it. I went to Paris. I studied French. I traveled. And I had the time of my life. I also kept a journal and wrote long emails home. So, in honor of this 15th anniversary of that amazing time in Paris and beyond, I am doing a series on my trip, using excerpts from my journals and emails, as well as some photos – presuming the scans come out. I’m looking forward to reliving this trip, and to sharing it with you! That’s what you get when you’re type A. And have a husband who meets this “completely bilingual” criteria (albeit with a bit more of an accent. Ooh la la.). My views have evolved. Matured? Grown more realistic? And while at one time I might have seen this as giving up, now I see it this way: we’re still pursuing something pretty awesome. I’m just more sane. “Bilingual” means different things to different people. We’re certainly not monolingual, but we also haven’t attained my previous definition of bilingualism. So what does that make us? All of us understand most of what is said to us in French. My kids spontaneously speak the language, sing songs, and watch cartoons in French. When thrown into a situation with people who speak only French, I don’t hesitate to use the language, and I’d say I’m pretty adept at expressing myself. My kids are at the point where they are able to use full sentences in French without needing prompting. Perhaps the most important thing: we are actively working on improving our language, every day, and have no plans to stop this work. So I’ve decided to give credit where credit is due. Next time someone asks me if we are a bilingual family, I’m going to say, yes. Yes, we are. I grew up during the old-school era of second-language learning. We filled in the blanks, conjugated verbs, and memorized vocabulary lists. Entry level classes, and sometimes even intermediate and advanced classes, were taught in English. Speaking in the second language was a part of those classes, but not a huge part, and when we did speak, it was awkwardly and amidst classmates making fun of each other’s accents. Today, language learning is (thankfully) progressing toward total immersion. In my college classes, and in the high school and junior high classes that I’ve observed, instructors use the target language to teach. Students are expected to participate by speaking, and by writing and reading in the foreign language. Oh, how far we’ve come! It seems so obvious that to learn a language, the best method is to be immersed in that language. After all, that’s how we learn our first language, right? Hearing it, using it, being surrounded by it, even bombarded with it (think of the way parents talk and talk to their babies, while the babies stare in rapt attention, taking it all in). So I was caught off guard when a parent in one of my preschool classes expressed concern that the class was being done all in French, without providing translations for the kids. The thing is, we were able to find in our notes what our teacher was saying, and we were able to answer her questions by the time she came around the circle to us. As adults, we use resources (textbooks, notes, dictionaries) to follow along. A good teacher will be expressive and enunciate clearly, helping students to comprehend. For children, when they are provided with plenty of visual aids, gestures, manipulatives, and expressive use of the language, they will understand. I’ve since become a big believer in total immersion. I do believe that for beginners, an occasional break into English to explain grammar rules or a difficult definition/concept can help. After all, as adult learners, we assimilate, compare, and use our first language to build on. But children don’t need this. They learn differently. They aren’t taking notes or trying to understand why we use le passé composé vs l’imparfait. They are making natural language associations in the same way they do with their first language. The best way to learn a language is in an interactive exchange – regardless of the age of the learner. Lectures, vocab lists, conjugating verbs, all of these things have their place, but to learn a language, one must actively use it. By immersing in it. A monolingual friend asked me if, when I write papers in French, I write them first in English then translate them. I know classmates who do this, but I consider this too difficult. Translation is no easy feat, and for me, it’s so much easier to write in French from the get go, to immerse my brain, my train of thought, my writing in the language that the paper must be written in. Learning by constant internal translation is a hindrance to language learning. Trying to formulate every thought in one language then translating it to another is far too much work. For so many things, no direct translation exists. There are turns of phrases, ways of expressing things, that are unique to each language. It’s not just a bunch of memorized vocabulary words: using a second language often involves a different way of thinking and approaching a problem, an explanation, a paper. It’s uncomfortable at first, no doubt. But when you first realize that you are thinking in that second language as you use it, rather than translating from your native tongue, you’ve made a huge leap forward toward bi/multilingualism. And immersion is an essential component of this process. 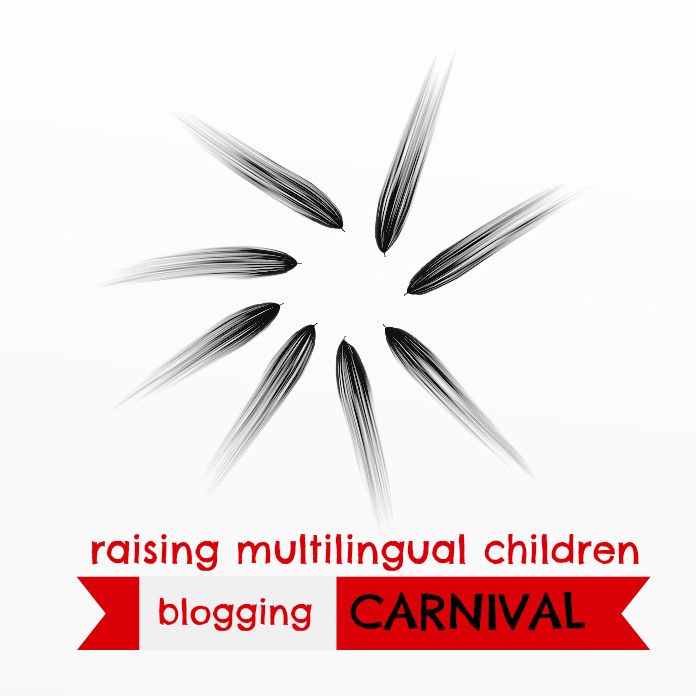 This post is part of the Raising Multilingual Children Blogging Carnival. For other entries in this month’s carnival, check out Annabelle’s blog at the Piri Piri Lexicon. I’m lucky to be raising my bilingual kids at a time when it’s “cool” to do so. Resources and research are easily found; information and advice on the subject are growing exponentially. Even seven, eight years ago, when I first started looking into raising children with two languages, I had a hard time finding resources. The flip side of this is, of course, too much advice can leave one feeling overwhelmed and incompetent. Parenting today – we’re bombarded with all the things we “should” be doing, a never-ending list of all the things our kids can’t live without if we want them to succeed in life. It’s enough to leave us feeling completely inadequate and deciding that throwing in the towel is the only reasonable approach. I often find myself embarrassed when people ask me how my children’s French is coming along. The truth is, their English has far outrun their French. But then, that’s to be expected, as we live in an English-speaking country and their primary caregiver, me, speaks mostly in English with them. Still, given all this, their French is pretty decent. Good, I’d venture to say. Their comprehension is excellent, and while they are at times reluctant to use it with us at home, when put in a situation where they need to use French, they break out in full sentences, sometimes surprising me with how much they can say. Children must be exposed to the minority language at least 30% of the time. My husband speaks to our kids exclusively in French. So that means weekdays we are at maybe 10-15%. Add to that my occasional use of the language with them, plus increased exposure on weekends, I’d generously say we’re at 20%. So we recently added private lessons: 45 minutes weekly. With this small bump in exposure time, their spontaneous use of French has increased dramatically. I catch them speaking French to each other, they are more at ease speaking French with their father, and they even use it with me. I conclude, from this anecdotal experiment, that it is the quality of the exposure and not the quantity that’s crucial. Forty-five minutes of a lesson focused on participating and using the language can produce better results than a few extra hours of exposure during day-to-day activities. Non-native, non-fluent speakers should not try to speak the minority language. So, I’m neither native nor perfectly fluent. I make mistakes in both pronunciation and grammar. But there is such a thing as “good enough” and I’m definitely there. There’s no doubt that the kids learn from me. And they have not picked up my American accent; in fact, they are helping me to perfect my accent and pronunciation! One parent speaking in two different languages will confuse the child. Early on, both of my kids showed signs they understood the two languages were separate. I’ll never forget looking at a picture of a little boy, and my 18-month old daughter pointing to the car in his hand and saying, “voiture.” I said, “Good! Do you know what that is in English?” not really expecting her to understand my question. “Car,” she answered without hesitation. I pointed to a ball. “What is that?” “Ball.” “What is it called in French? “Balle,” she responded, with perfect French pronunciation. We went through several more words, and it was clear that she was already differentiating, in her mind, two languages. They have their funny Franglais words and phrases: “Mommy, I’m betiseing.” The other day, my son asked for the, “caterpillar song”, meaning the French song about the chenille. I’d never referred to it as the caterpillar song. Research shows that code-switching, rather than being a sign of confusion, can be a sign that children are mastering both languages, especially as we see grammar rules applied appropriately (as in the “betiseing“). So yes, I hop back and forth between the languages, and my kids hop right along with me. No confusion here. Learning two languages at once will delay the development of the majority language. 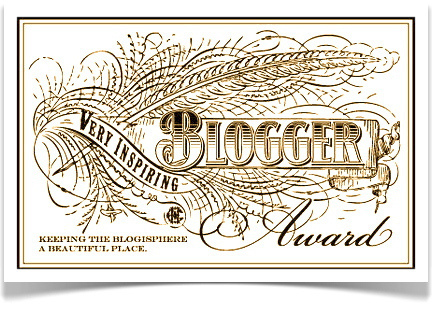 Not in our house – I’m blessed with a couple of chatterboxes! They’ve been well ahead of the averages in their English language development all along. And when we added in the French words they knew – they’ve been progressing just fine there, too. The only way to learn a foreign language is to live in a country where the language is spoken. I’m not saying that it doesn’t help, simply because the exposure to the language increases exponentially, and a person is forced to use the language. Yet – we’ve all encountered immigrants who’ve lived in a country for decades and still have great difficulty with the language. Living in country can often emphasize errors and poor grammar, as immigrants are forced to speak through their mistakes, and locals are often reluctant to correct them. Quality exposure to a language can happen in classroom situations, where a qualified teacher (or parent!) can help refine language skills. Again, when learning a language quality exposure can far outweigh quantity. So, given all this, I’m less embarrassed and more proud of how far we’ve come as a bilingual family. I know the language is embedding itself into my children’s heads. I see it when they break out in full sentences or memorized songs. I hear it in their perfect accents. I see it in their faces as they understand the stories we read. It’s working. Despite it all, we are becoming bilingual. I came across this great article on Facts and Myths while writing my article. Check it out! 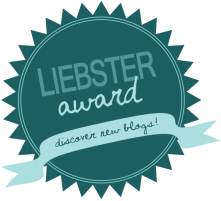 And now go check out the other blog posts for the carnival!